Android is a Linux-based mobile phone Operating System developed by Google. Android is unique because Google is actively developing the platform but giving it away for free to hardware manufacturers and phone carriers who want to use Android on their devices. Android is getting most popular Smartphone Operating system these days. It comes with a range of Google features, most notably Search and Maps, installed as standard. This means you can easily search for information on the web and for directions from your phone, as you would on your computer. This is handy for checking up on things like train times and getting directions when out and about. You can also access other Google services, like Gmail, Google Earth, YouTube and Google Calendar on an Android phone. Android supports a touch screen and is difficult to use without one. You can use a trackball for some navigation, but nearly everything is done through touch. Android also supports multi-touch gestures such as pinch-to-zoom in versions 2.1 (Eclair) and above. 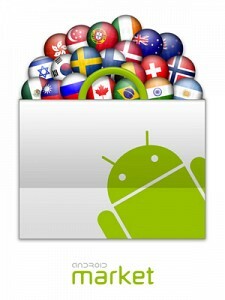 Android is an exciting platform for consumers and developers. Android phones are highly customizable and as such can be altered to suit your tastes and needs. You can check your Facebook and Twitter profiles through a variety of apps making it ideal for social networking. Through the calendar you can set reminders from your desktop or your phone and on the latest version of Android you can send links to and from your computer and vice versa. Another neat feature of Android is that it automatically backs up your contacts for you. When you set up an Android phone you’ll need to create a Google Account or sign in with an existing one. Every time you save a number to the address book of your Android phone it will be synced to your Google Account. The benefit of this is if you lose your phone all of your numbers will be saved. The next time you get an Android phone and sign in with your Google Account, all of your contacts and friends numbers will be displayed in your new phone’s address book. Android Market is a place (the equivalent of Apple’s iTunes App Store) where you can find thousands of applications that are made available by thousands of developers working on Android platform. The majority of Apps are downloaded from the Android Market. Most of these are free but there are some premium apps as well that you’ll have to pay for. What application can I get on an Android phone? There is a huge range of apps and games available to download from the Android Market. There are camera apps that allow you to take pictures with artistic effects and filters on them and music players which allow you to import MP3s from your and create playlists. You can customize the appearance of your Android phone with a number of wallpapers based on pictures you’ve taken yourself or downloaded from the web. There are also various on screen widgets to download which allow you to access and reconfigure the settings of your phone. You can pretty much create your own system of shortcuts and menus to suit you.Popular games available for Android phones now include Angry Birds, Fruit Ninja, Wordfeud and Drop 7. How can I get paid apps on an Android phone? You’ll have to set up an account with Google Checkout in order to pay for apps. You can pay either by debit or credit card. This takes less than five minutes to set up and is best done from your computer. Some developers choose to make their apps available to download freely outside the Android Market and directly from their own sites. In order to download these you’ll have to change some settings on your phone before visiting the site on your Android phone’s web browser. Does Google make any Android phones? Google makes the software not the hardware. One phone – the Google Nexus One – is branded as “the Google Phone” but is actually made by HTC, who make other Android phones such as the HTC Desire and HTC Legend. It is considered to be the flagship Android phone, even though some Android phones have bigger screens and better cameras. Of all of the Android phones, the Google Nexus One is currently always the first to receive new Android updates. Are there any updates available for Android OS? Google is constantly working on new versions of the Android software. These releases are infrequent; at the moment they normally come out every six months or so, but Google is looking to slow this down to once a year. Versions usually come with a numerical code and a codename that’s so far been named after a type of dessert; e.g. Android 1.5/Cupcake, Android 2.1/Eclair and the most recent edition Android 2.2/Froyo. The next expected edition of Android is version 2.3 and is codenamed Gingerbread. The dessert names of the releases are in alphabetical order. The next update is expected to be called Honeycomb and the one after that Ice Cream. What do these updates do? Do they cost anything? Android updates are free. The updates bring a number of new features and changes to Android each time. Generally with each update the speed and performance of Android is improved upon. Most of the high-end Android phones are scheduled to receive updates first. Most Android phones will have at least one update during their life cycle, with some having two. This entry was posted in Announcements and tagged Android, Android Markt, Google, HTC, Mobile operating system, smartphone os by Yasir Imran. Bookmark the permalink.